What is the release date for Star Wars: Jedi Fallen Order? Find out when Star Wars: Jedi Fallen Order is scheduled to release and on what platforms. Over the weekend, Respawn Entertainment and Electronic Arts unveiled new details about Star Wars: Jedi Fallen Order, including the game’s official release date. 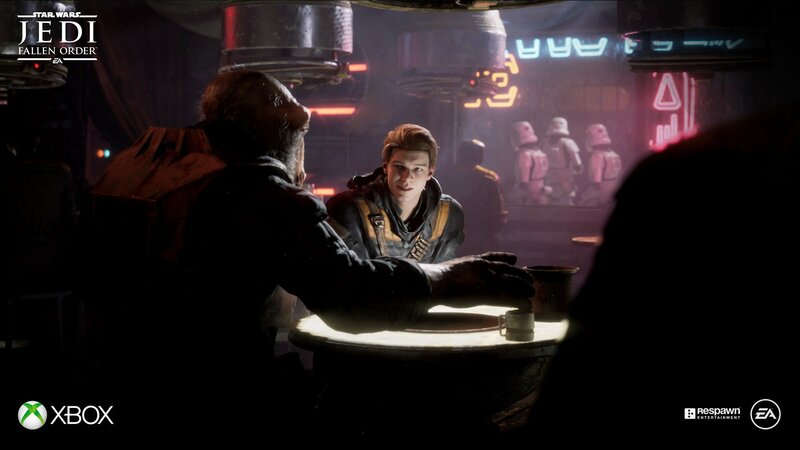 According to Respawn, Star Wars: Jedi Fallen order will be a single player title that follows the adventures of Cal Kestis, voiced by Cameron Monaghan. After surviving an attack on the Jedi Order known as Order 66, Cal escapes to the planet of Bracca where he works as a salvager. In addition to Cal, players were also introduced to characters like Cere voiced by Debra Wilson, and a new droid named BD-1. Eager to get your hands on the latest Star Wars game from Respawn and EA? Below, we’ve outlined what the release date is for Star Wars: Jedi Fallen Order, and what platforms the game is being released on! Star Wars: Jedi Fallen Order will release on November 15, 2019 for Xbox One, Windows PC, and PlayStation 4. Concluding the reveal of Star Wars: Jedi Fallen Order, a release date of November 15, 2019 was announced. Alongside the official release date, it was confirmed that Star Wars: Jedi Fallen Order will release on Xbox One, Windows PC, and PlayStation 4. Unlike other Star Wars games from EA, Star Wars: Jedi Fallen Order will be a single player experience that’s free from loot boxes and microtransactions. As such, what you purchase is what you’ll get in Star Wars: Jedi Fallen Order. Pre-orders are available now with two different editions (standard and deluxe) on offer. The difference between the standard and deluxe editions is minimal, with the deluxe version offering both DLC cosmetics and exclusive “Director’s Cut” behind-the-scenes content. The deluxe edition sits at $69.99, while the standard edition will set you back $59.99. Other notable features that players can look forward to in Star Wars: Jedi Fallen order include new planets to explore and “thoughtful combat” according to Respawn Entertainment. Opposition will come in the form of Purge Troopers as they work to track down the remaining Jedi in hiding, including Cal Kestis. Eager to start playing Star Wars: Jedi Fallen Order? Keep an eye out for the game’s release on November 15, 2019 on Xbox One, Windows PC, and PlayStation 4! Now that you know what the release date is for Star Wars: Jedi Fallen Order, be sure to check out some of our other features including the full cast of voice actors in Star Wars: Jedi Fallen Order, five reasons why we can’t wait for Star Wars: Jedi Fallen Order, and a recap of the reveal trailer for Star Wars: Jedi Fallen Order.